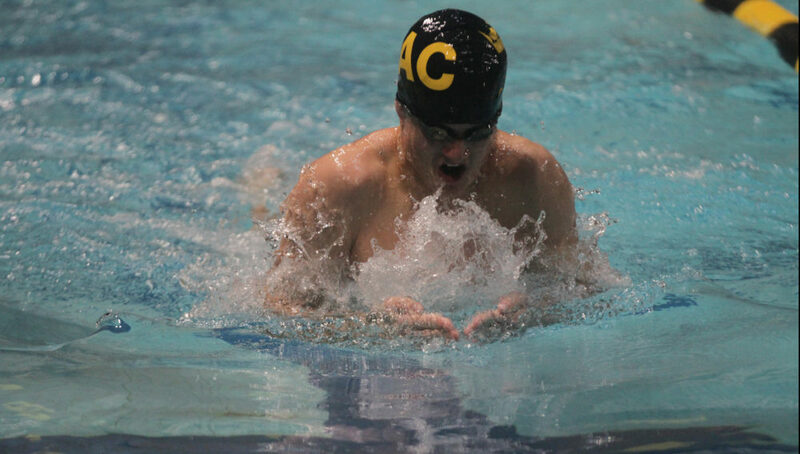 NORTHFIELD, Minn. – The Gustavus Swimming and Diving team sent half of their team to a meet in St. Olaf on Saturday. The men’s team won by a score 210-88, while the women won 158-140. In the Macalester meet, both teams finished in third place. Luke Bergstrom (Fy., Fargo, N.D.) was the lone Gustie victorious at the Macalester meet as he won both the 50 yard freestyle (22.73) and 100 yard butterfly (58.29). The Swimming and Diving teams will be back in action on Saturday when they the Grace Goblirsch Invite at 10 a.m.